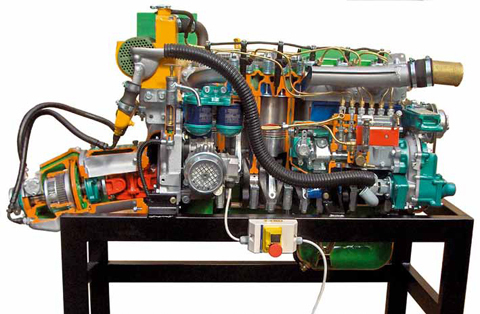 This cutaway model is carefully sectioned for training purposes, professionally painted with different colours to better differentiate the various parts, cross-sections, lubricating circuits, fuel system, cooling system etc. Many parts have been chromium-plated and galvanized for a longer life. Dimensions and Weight depend on engine type (4 or 6 cylinders).